Summary: "What is Sopa Seca de Fideo?" you may ask? Be prepared to fall head over heels in love with this classic Mexican side dish, vegan and gluten free style, of course! Traditionally, this dish is made with vermicelli and chicken broth, but we are preparing this dish with a vegan and gluten free flair and, trust us, you are not sacrificing taste by any means. Be prepared to delight your tastebuds with garlic, onions, chiles and tomatoes. “What is Sopa Seca de Fideo?” you may ask? Be prepared to fall head over heels in love with this classic Mexican side dish, vegan and gluten free style, of course! Traditionally this dish is made with vermicelli and chicken broth, but we are preparing this dish with a vegan and gluten free flair and, trust us, you are not sacrificing taste by any means. Be prepared to delight your tastebuds with garlic, onions, chiles and tomatoes. This delicious recipe is adapted from one of our favorite cookbooks Aprovecho: A Mexican-American Border Cookbook. It is not a vegan and gluten free cookbook, but what we love about it is that it is full of simple, delicious recipes that can be easily adapted to the vegan and gluten free diet. Here comes the fun part: place the pasta in a plastic bag in one layer. Get a rolling pin, a mallet, anything heavy, and smash the heck out of those noodles so that they are in small pieces. In a 10-inch frying pan, heat the butter and oil over medium-high heat. Once melted, add the onion, garlic, and chiles. Cook, stirring often, until they are soft, but be careful not to burn. This will be approximately 5 minutes. Now add the noodles and cook for another 2-3 minutes, stirring constantly. Add the oregano, tomatoes, broth and peas and bring the whole mixture to a boil. Once boiling, reduce the heat to a simmer and cover. Simmer for about 15 minutes, or until the liquid is absorbed. Salt and pepper to taste. This is dish is delicious served with simple black beans, salsa, and warm tortillas. Maybe even a little avocado on the side! Summary: Vegan and gluten-free cheese has come a long way. Gone are the days of unpalatable soy cheeses with crumbly or rubbery textures. Not only are delicious every day vegan cheeses available, but so are artisan vegan cheeses such as those made by vegan cheese company Kite Hill. Vegan and gluten-free cheese has come a long way. Gone are the days of unpalatable soy cheeses with crumbly or rubbery textures. 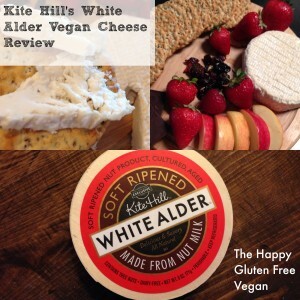 Not only are delicious every day vegan cheeses available, but so are artisan vegan cheeses such as those made by vegan cheese company Kite Hill. Kite Hill artisan non-dairy cheeses are the first vegan cheeses to ever be featured in Whole Foods Market’s cheese department. Kite Hill makes their vegan artisanal cheeses in the same way that traditional dairy cheese is made. 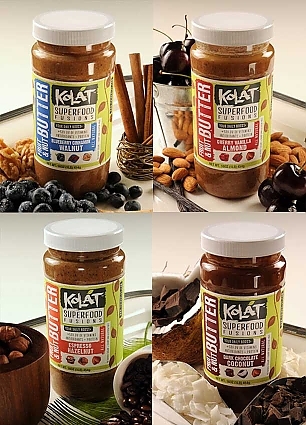 All of their cheeses are made from a proprietary nut milk blend, after which it is pasteurized and blended with lactose-free culture and naturally occurring enzymes. As the mixture curds, the curd is distributed into cheese molds and aged. The Kite Hill cheese we sampled is their White Alder cheese, a soft ripened cheese, similar to brie. The cheese came in a round wooden box, and was carefully wrapped to preserve it. It has a soft rind, in which there is very creamy cheese. The taste of the cheese is soft, which is perfect for those who don’t like a strung cheese. Because it is such a soft taste, it pairs really well with seasoned, gluten free crackers, taking on any flavor that it may have. It would also be delicious spread on tortilla chips and carrot chips. While Kite Hill recommends pairing it with white grapes, we paired it with strawberry, apple slices, dried cherries and dark chocolate, and it was an absolutely delicious offering. We can also see this tasting delicious as grilled cheese, with some gluten-free bread and perhaps some tomato or pesto. Kite Hill recommends pairing this vegan cheese with a dry white wine or champagne, but if you’re a non-drinker, it would taste delicious with sparkling cider. Kite Hill vegan artisanal cheeses are available at Whole Foods markets everywhere, or check their store locator for the store nearest you. Summary: We love unique flavor combinations, especially when made as a soda syrup. It takes the soda to a sophisticated level, and offers a surprise for guests. The combination of pear and rosemary offers a delightful combination with light pear flavor, with an unexpected depth brought by the rosemary. We love unique flavor combinations, especially when made as a soda syrup. It takes the soda to a sophisticated level, and offers a surprise for guests to whom you may be serving this delicious beverage. The pear and rosemary offers a delightful combination with light pear flavor, and an unexpected depth brought by the rosemary. In a medium saucepan, over medium heat, combine the pears, rosemary, sugar and water and bring to a boil, stirring frequently. Once it boils, reduce the heat and simmer for 20 minutes. Remove from the heat, cover, and let sit for 30 minutes, stirring occasionally. Discard the pears and rosemary sprigs. Place in airtight container and store. When ready to serve, combine several tablespoons, to taste, with soda water and ice. Summary: Soda doesn't have to be nasty colas with high fructose syrup, it can be delicious beverages that can be a special treat, without feeling gross after you drink it. 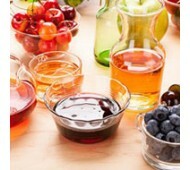 One of our favorite discoveries is Nature's Flavors, which crafts USDA Certified syrups with no toxins, chemicals, or synthetics. 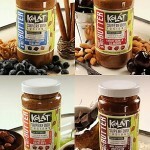 Their syrups are vegan, gluten and alcohol-free, as well as kosher. Soda doesn’t have to be nasty colas with high fructose syrup, it can be delicious beverages that can be a special treat, without feeling gross after you drink it. One of our favorite discoveries is Nature’s Flavors, which crafts USDA Certified syrups with no toxins, chemicals, or synthetics. Their syrups are vegan, gluten and alcohol-free, as well as kosher. While they have many flavors, their mango chili syrup caught our attention because we love the mix of sweet and spicy. Here is our favorite recipe for mango chili soda. Bring all of the ingredients to a boil in a heavy saucepan, then turn down the heat to low-medium, letting the syrup simmer until it’s reduced to about half of it’s volume. Remove from the heat and let it cool. Transfer it to a glass bottle with a tight seal. When ready to serve, combine syrup with carbonated water over ice. Start with a few tablespoons, taste, and add more if you’d like a stronger taste. To add to this soda, consider additions such mint or blackberries to add a unique flavor to the beverage. Summary: Happy No Turkey Day! Jess, here, from Caviar Taste on a Vegetarian Diet. One of my favorite parts of No Turkey Day (AKA, Thanksgiving) is strategizing how to cook for the day. I know, sounds lame to some, but I love making the whole day as simple and stress-free as possible. As such, I lug out my trusty slow cookers, and cook as many dishes as possible in them, to keep burners and the oven free. Happy No Turkey Day! Jess, here, from Caviar Taste on a Vegetarian Diet. One of my favorite parts of No Turkey Day (AKA, Thanksgiving) is strategizing how to cook for the day. I know, sounds lame to some, but I love making the whole day as simple and stress-free as possible. As such, I lug out my trusty slow cookers, and cook as many dishes as possible in them, to keep burners and the oven free. 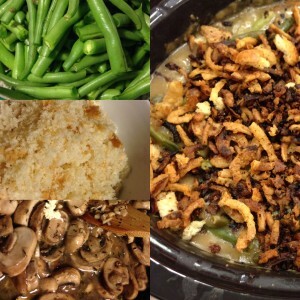 My husband is a huge fan of green bean casserole, but I’m not a fan of the nasty stuff in the commercial canned condensed soup so commonly used to make it. Not to mention, those soups are definitely not vegan or gluten-free. Luckily, this recipe fulfills my desires to cook Thanksgiving Day dishes in the slow cooker, and not have nasty canned soup in my green bean casserole. Clean and trim green beans, then cut in half. Blanch them by putting them into boiling, slightly salted water. Cook for approximately 3 to 4 minutes. Spoon them out of the boiling water with a slotted spoon, and immediately drop them into a bowl filled with cold water and ice. Blanching stops the green beans from cooking further. Drain the beans and set them aside. In a medium skillet, heat 2 tablespoons of olive oil. Add mushrooms, salt and pepper to taste, and white wine (if using) and cook approximately 5 minutes. Add onions and garlic, and saute until translucent, about another 4 minutes. Remove from heat and set aside. In a separate skillet or saucepan, heat 1/2 cup of the potato soup over medium heat. Sprinkle flour into the pan and whisk immediately to evenly mix it into the soup. Cook for about a minute, then pour in rest of potato soup. Continue cooking, constantly whisking, while soup thickens, about another 2-3 minutes. 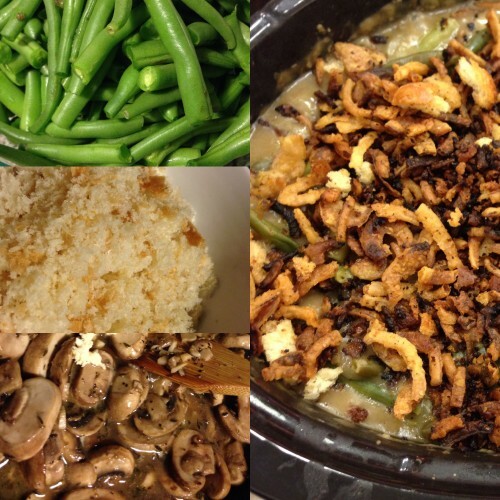 In slow cooker, combine green beans, mushroom mixture, and potato soup, mixing thoroughly. Set slow cooker to cook for 4-6 hours, depending on how much time you need. When ready to serve, transfer to serving dish and sprinkle with gluten free crumbs. Enjoy! Chop all of the vegetables you’ll be using a day or two ahead of time, and put them into different resealable plastic bags, labeled with the dish for which they’re intended. If you’re making a big batch of mashed potatoes, wash them all at once in your dishwasher (hold the soap!). Use a mellon baller to scoop out the tops of apples, then stick tea lights into the indentations for pretty and simple table decor. Being meat-free means that it’s easy to end up with a starch-heavy table. Replace that rice with cauliflower rice: grate a head of cauliflower with a cheese grater, zap in the microwave for a minute or two, and toss with vegan butter, or whatever mix-ins you like with your rice. And don’t forget to ask your guests for help if you need it – people are happy to pitch in! Summary: We clearly can't get enough of pumpkin recipes! This recipe is so easy and delicious, that it makes it a prime candidate for a holiday party or potluck. We clearly can’t get enough of pumpkin recipes! This recipe is so easy and delicious, that it makes it a prime candidate for a holiday party or potluck. In a mixer, or with a hand mixer, mix the cream cheese until it is light and fluffy. Beat in the sugar and mix thoroughly, until it is fluffy again, and the grains of sugar have disintegrated. Add the rest of the ingredients, mixing well until the spread is creamy and smooth. Serve immediately, or refrigerate until time to serve. It’s that easy! This dip tastes delicious on apple slices, your favorite gluten-free and vegan muffins, or our favorite, Pamela’s vegan, gluten-free ginger almond cookies. We’re Going to the Native Foods Cafe Boulder Pre-Opening Party! Summary: We were very excited to be invited to the Boulder Native Foods Cafe Pre-Openinig Party! Well, maybe party isn't the right word - but they are treating us to lunch, and we get to go this weekend! (they officially open next Tuesday, May 29th). We were very excited to be invited to the Boulder Native Foods Cafe Pre-Openinig Party! Well, maybe party isn’t the right word – but they are treating us to lunch, and we get to go this weekend! (they officially open next Tuesday, May 29th). We are incredibly excited to invite you to join us for a Complimentary Meal in celebration of the first Native Foods Cafe in Boulder, Colorado. We are open to the public on May 29th, but invite you to join us prior to opening as a way to thank you for welcoming us to the community and to fine tune the last details of our training and introduce you to our new team members who are so excited to meet, greet and feed you! Please CLICK HERE to RSVP for any one of our complimentary lunches or dinners this Friday, May 25th or Saturday, May 26th, for you and up to 3 of your friends! This invitation is being sent to a select group of Native Foods friends. Please do not forward this link around! It’s just for you, our special guests. All food (including dessert) is free. All beer and wine will be served at $2 each with 100% of the proceeds being donated to five great local charities. We can’t wait to see you and meet all our new friends in Boulder! We’ll be sure to report back! Native Foods Cafe Coming to Boulder Soon! Grilled skewers of Native Original Seitan and tofu, marinated in Tandoori spices, topped with mango-apple chutney and served on a bed of baby greens with our homemade raita yogurt sauce. Our crispy battered Native Chicken wings. Ranch dressing on the side. Seasoned potato fries smothered in our homemade Native Chili. Topped with Native Cheese and diced red onions. And their desserts are too decadent to even mention here; just think lots of chocolate, cheesecake, and cupcakes. Native Foods Cafe is a small chain which started in Southern California and now has locations in Portland, Chicago, and Boulder. Native Foods Cafe is a vegan restaurant designed to meet the needs of today’s discriminating, health-conscious diners looking for great-tasting food… both vegetarians and meat-eaters alike. Chef Tanya’s roots are firmly grounded in the culinary world. Chef Tanya was raised in a gourmet household and she helped her father at catering events as a teenager. In her family, mealtime was a celebration of taste, texture and companionship, which always began in the backyard garden. Family vacations were global explorations of food and culture, visiting relatives in far off lands and discovering ethnic flavors and traditions. After developing a lifelong bond with her cat Muchka at a very young age, Tanya then met (and pet!) a dairy cow on a family vacation which forever changed her perspective on animals. She loves them! So Tanya’s quest began: how to maintain a healthy, balanced and nutritious diet using 100% plant-based foods. Well, much to Tanya’s delight, she learned that contrary to the fears and concerns of some people, it’s not only possible to live a healthy vegetarian lifestyle, but it’s also healthier for the planet as well as its people. We at the Happy Gluten Free Vegan are awaiting their Boulder opening with excitement and anticipation; we are sure that we will be frequent visitors, and we can’t wait to say “Welcome to Boulder” in person!